The federal government faces an array of challenges in cybersecurity. What are these challenges and how are they changing? Who are the actors threatening the government, and what tools are they using? Are countermeasures effective, or is the government losing the battle? Eliminating all risk is impossible, so how do government agencies manage the risk? Is the NIST Cybersecurity Framework (CSF) helpful? There’s a huge initiative to modernize federal systems; how does modernization affect an agency’s security posture? Our fourth annual Federal Cybersecurity Survey explores these questions, and more. 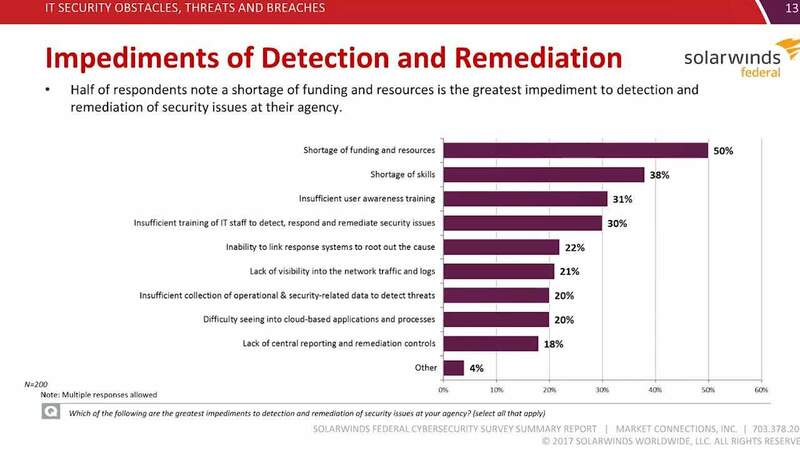 Watch this video as we discuss this year’s Federal Cybersecurity Survey results, and how agencies with strong IT controls are better prepared for security threats and are better able to manage risk.